I recently saw Wonder Woman, and while I was watching that incredible film, it suddenly hit me that Diana and Moana have a lot in common. They both are determined to save humans, they are both princesses (though Moana would disagree with me), and they both spend at least some amount of time sailing. Diana: "I am Diana of Themyscira, daughter of Hippolyta!" Moana: "I am Moana of Motunui. You will board my boat--wait, what?" Their drive and determination to save the world is one major similarity that unites them. Though Moana is drawn to save her tribe and Diana tries to save mortals from a different realm, ultimately their goals are the same. They're compelled to save people and do whatever it takes to do that. It makes them pure cinnamon rolls, honestly. I think they should discuss the perils and difficulties of their missions, as well as their love for humanity, over a cup of hot chocolate, a tropical drink, or whatever it is they drink on Themyscira. Both of these characters are also completely badass--though that manifests in different ways for each of them, you can see that resiliency at each of their cores. It's clear in Diana's fighting skills, her bold way of speaking, and even her tender heart. For Moana, her badassness is clear in sheer moxie--she knows how to sail, she won't let Maui take no for an answer, and if she doesn't get something right the first time, she'll try again. Ultimately, their badassness boils down to both Moana's and Diana's refusal to give up, no matter what it takes. They're fighters in every sense of the word, and that's why they should meet--that fighting spirit recognizes another fighter. They would understand each other. The moment I realized these two should meet was when Diana decided to sail away from her island on a mission to save the world. Like Moana, she has a male companion (though sadly, she does not have a chicken named Hei-Hei). They were both raised on an island, they're both daughters of the ruler of that island, and they're both sailors. The similarities just go on. I'm telling you, these two were destined to meet. Plus, I can easily imagine Steve Trevor and Maui in that bar in London discussing the girls they care about. I desperately want these two to meet, too. Steve would be the perfect person to temper Maui's slight arrogance, and Maui would bring Steve to new adventures and excitement. Maui: "What can I say except you're welcome? Though Diana and Moana may seem like an unlikely pairing, I think it's perfect. They complement each other. 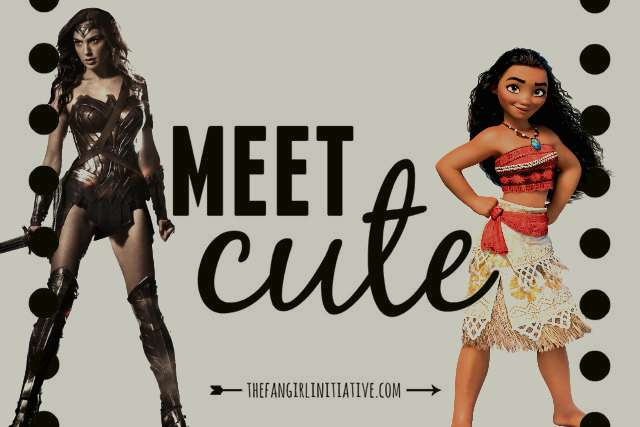 Moana needs a mentor to guide her, and Diana needs someone to help bring out the young, almost childlike spirit in her (especially since Diana grew up without any other children on Themyscira). Imagine Diana witnessing the magic of Moana's ocean and the life of her village and being extremely joyful to see it. Or Diana training Moana in combat, in sailing, teaching her Themyscira's ways, and then smiling as Moana takes on the new role as leader of her village. This is a match made in heaven (perhaps by Zeus himself), and I can see it flourishing for years (just like Te Fiti). Moana: "I know the way... I am Moana." Diana: "And I am Diana, Princess of--"
What do you think about this Themyscira/Motunui alliance? Do you have any related headcanons? Let me know in the comments!